Adjective. 1: something of great value financially. 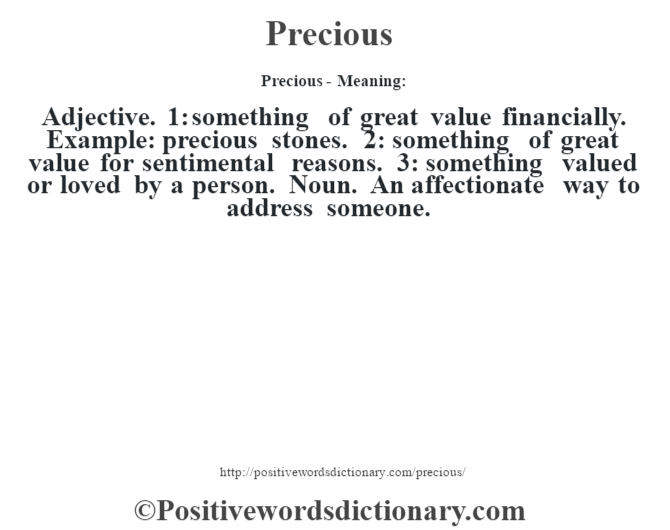 Example: precious stones. 2: something of great value for sentimental reasons. 3: something valued or loved by a person. Noun. An affectionate way to address someone.